Advances in Immunology, Volume 139, the latest issue of a long-established and highly respected publication, presents current developments and comprehensive reviews in immunology. 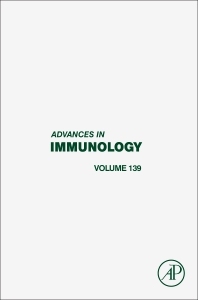 Articles address the wide range of topics that comprise immunology, with this release including chapters on Alzheimer's and its innate receptors, the field of immune orchestration by small molecules, like chemokines and lipids, the role of AID in the first checkpoint, and the design of vaccine strategies to elicit HIV-1 broadly neutralizing antibodies. 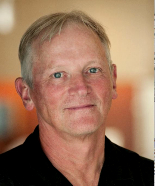 Frederick W. Alt is a Howard Hughes Medical Institute (HHMI) Investigator and Director of the Program in Cellular and Molecular Medicine (PCMM) at Boston Children's Hospital (BCH). He is the Charles A. Janeway Professor of Pediatrics and Professor of Genetics at Harvard Medical School. He works on elucidating mechanisms that generate antigen receptor diversity and, more generally, on mechanisms that generate and suppress genomic instability in mammalian cells, with a focus on the immune and nervous systems. Recently, his group has developed senstive genome-wide approaches to identify mechanisms of DNA breaks and rearrangements in normal and cancer cells. He has been elected to the U.S. National Academy of Sciences, the U.S. National Academy of Medicine, and the European Molecular Biology Organization. His awards include the Albert Szent-Gyorgyi Prize for Progress in Cancer Research, the Novartis Prize for Basic Immunology, the Lewis S. Rosensteil Prize for Distinugished work in Biomedical Sciences, the Paul Berg and Arthur Kornberg Lifetime Achievement Award in Biomedical Sciences, and the William Silan Lifetime Achievement Award in Mentoring from Harvard Medical School.